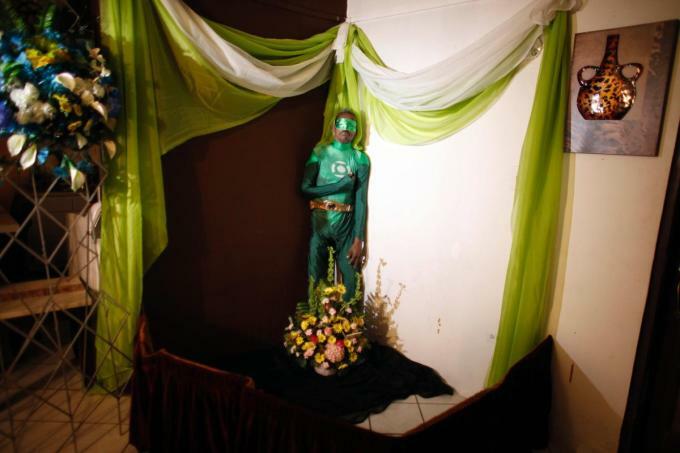 Renato Garcia wore a Green Lantern costume for the last few weeks of his life. His sister said that he found it in a bag of donated clothes. Garcia had respiratory problems. 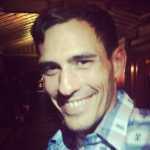 He passed away last week in San Juan, Puerto Rico. 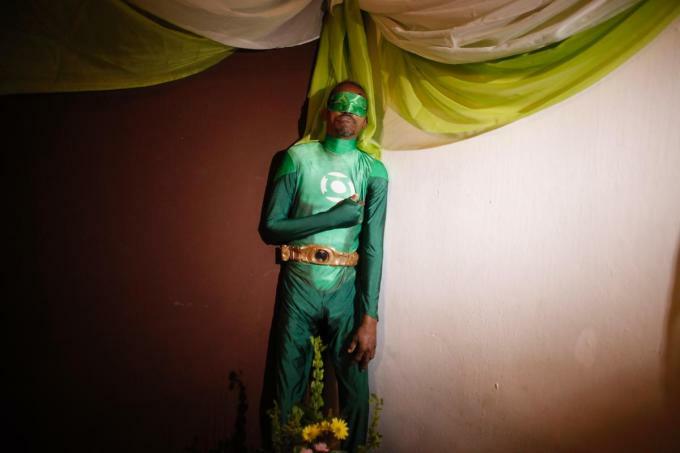 His sister decided to embalm, and prop his body at his wake, wearing the Green Lantern costume. Mythically, The Green Lantern received powers from a ring that had meteoric fire trapped inside of it. The flame had a prophecy of bringing death to one, life to another, and power to the third owner. The third owner was Alan Scott. The second generation Green Lantern was Hal Jordan, who was played by Ryan Reynolds in the 2011 film. Jordan received the ring from an alien lifeform whose ship had crashed on earth. The ring was attempting to find someone "utterly honest and born without fear." The Green Lantern will appear in a film again in 2020, but the role has yet to be cast. The practice of posing embalmed bodies for wakes is becoming more popular in Puerto Rico. And standing has become an increasingly popular pose. It began within the gang communities of San Juan. "I see it as a challenge to the authorities: &apos;You killed me, but you didn&apos;t knock me down,&apos; " said Jorge Lugo Ramirez, president of the Puerto Rico Funeral Home Association to The Los Angeles Times in 2010. For a brief period, the Puerto Rican Department of Health was asked to require that wakes be conducted with the corpse in a coffin — horizontally. But as the practice began moving from the gang territories into areas that were not dealing with as many violent deaths, the practice became more mainstream, and seen less as a threat to police and government.